In the grades, the student journeys from the imaginary world of early childhood to the adult world of awakened thoughts. 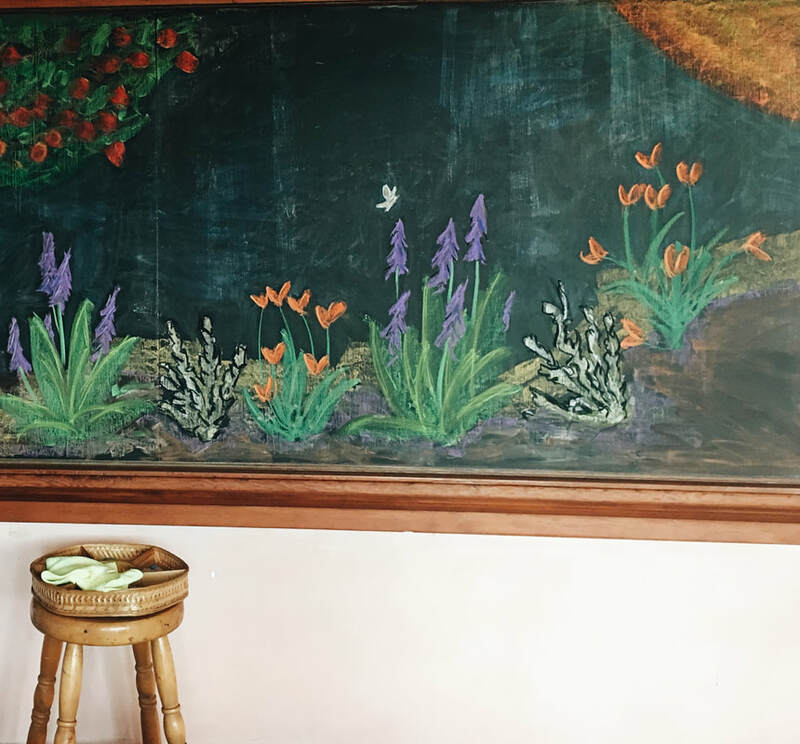 The creative methodology and unique curriculum of Waldorf education enhances each student’s ability to learn while passing through each stage of child development. 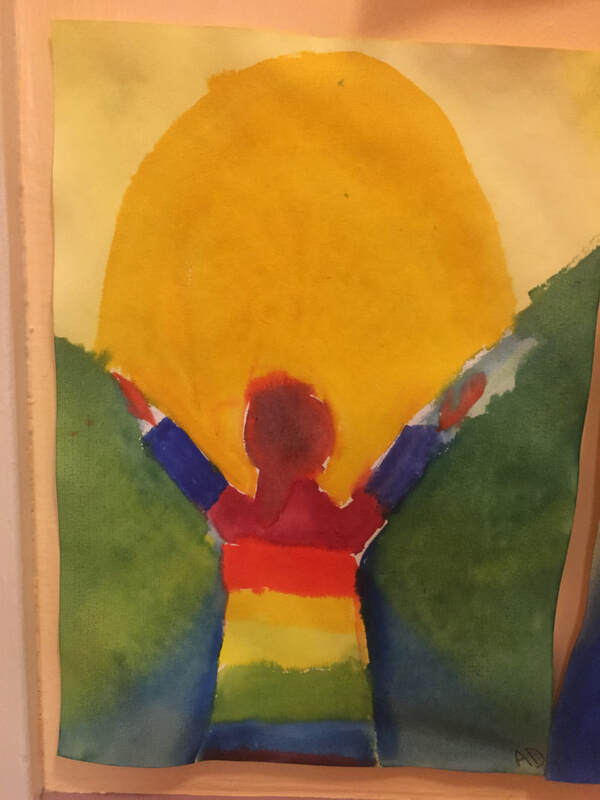 The Waldorf school curriculum strives to appreciate the changing abilities of the growing child in a very concrete way by offering subject matter specifically suited to the appropriate developmental level. The main lessons - language, arts, science, mathematics, history and geography - are taught in blocks of three to five weeks. Throughout each grade, the students encounter a stimulating depth of experience through the arts. This includes movement, foreign language, handwork (knitting, crochet, sewing), painting, beeswax or clay modeling, music, drawing, games and drama. The arts are integrated into the entire academic curriculum, including math and science. The daily rhythm in the grades begins with the greeting at the door, morning verse, singing, and movement. The child is led into a two-hour Main Lesson, the most focused portion of the day and the heart of the curriculum. Outside of Main Lesson, each grade receives a variety of special subjects suited to their developmental capacities. There are also two breaks for food and recess, which is an important opportunity for movement, relaxation, and social learning. First Grade: Fairy tales, folk tales and nature stories; pictorial and phonetic introduction to letters; form drawing; preparation for reading through writing; qualities of numbers; introduction of four processes of arithmetic; lower multiplication tables; pentatonic flute. Second Grade: Legends and animal fables; continued work in language (phonics, reading, writing, punctuation, spelling); arithmetic (the four math processes, odd/even, times tables, place value); cursive writing; form drawing; pentatonic flute. Third Grade: Stories from Old Testament history; composition and grammar; study of practical life (farming, housing and clothing); higher multiplication tables; weight, measure and money; form drawing; lyre instruction; diatonic flute. Fourth Grade: Norse Mythology and sagas; Native American mythology; letter writing and language arts; local geography and map making; the animal kingdom; arithmetic and fractions; form drawing; diatonic flute. Fifth Grade: Ancient history and myths through Greek times (Indian, Persian, Egyptian); American geography; botany; decimals, ratio and proportion; language arts; form drawing; diatonic flute. Sixth Grade: Roman and medieval history; geography; astronomy; geology; physics; geometric drawing; business math (interest, percentage, discount); language arts; recorder. Seventh Grade: Renaissance history; voyages of discovery; physics; chemistry; physiology, health, and nutrition; algebra; geometry; language arts; recorder. Eighth Grade: Epic and dramatic poetry; world geography; industrial revolution; American and French Revolutions; modern history; human anatomy; physics; nutrition and hygiene; algebra; geometry; language arts; chemistry; meteorology; recorder.